Titled "Transitional Majesty" because this work tells the story of transitioning from Fall into Winter, night into day, dark into light. Sun dances through clouds and paints a warm, alpen glow on Mt. Sneffels in the San Juan mountain range of Southwest Colorado. 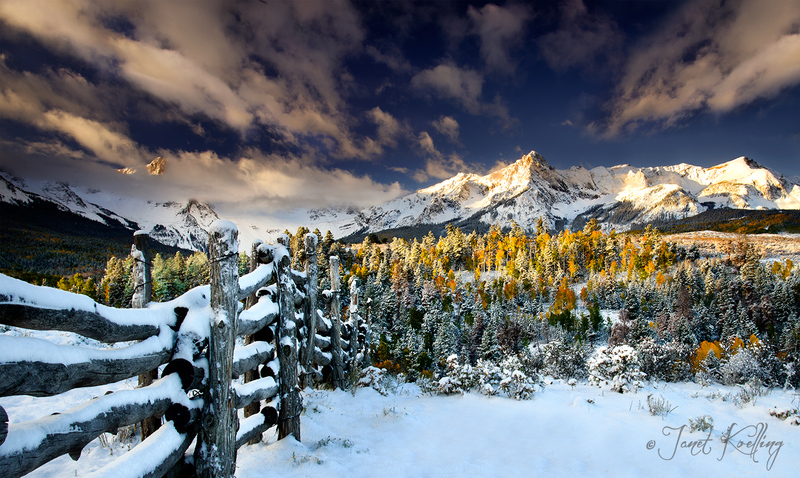 The frigid fall morning welcomed 5 inches of crystal, white snow on the ranch fence extending to the golden aspen and snow-covered peaks beyond.